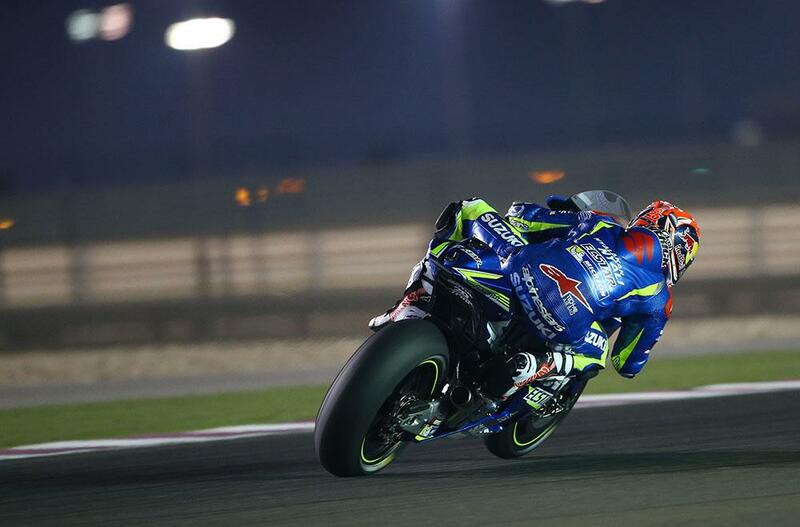 Maverick Viñales has proved that his ultra-fast pace at Phillip Island two weeks ago was no mere fluke by topping the time sheets at the end of the second day of action at the final MotoGP pre-season test of 2016 at Losail International circuit. Running near the front of the field for most of the day, a 1.55.436 lap from the Spaniard towards the closing stages of the day left him 0.072 clear of the Ducati of Andrea Iannone, as the Italian finally gets up to speed on the GP16. 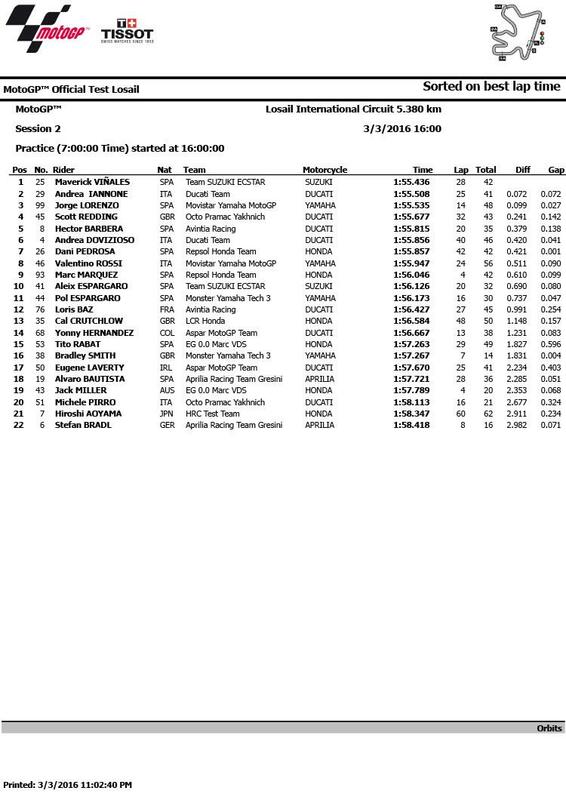 Yesterday’s fastest man and leader for much of the session Jorge Lorenzo was third, only 0.027 back on Dovizioso and with less than 0.1 seconds covering the trio. Scott Redding was an impressive fourth on the Pramac Ducati GP15 machine, continuing to work at his steady but consistent testing strategy that seems to be rewarding the British racer. Hector Barbera was a surprise fifth on the Avintia Ducati GP14, making the most of the fast engine on Losail’s long straights, while Andrea Dovizioso made it four Ducatis in the top six. Valentino Rossi was seventh after a number of long runs on the Michelin tyres, just behind the first Honda of Dani Pedrosa, as they continue to struggle to find a base setting. His teammate Marc Marquez was ninth despite an early crash, with the second Suzuki of Aleix Espargaro rounding out the top ten. Cal Crutchlow, also struggling with the Honda, was thirteenth, while Bradley Smith was sixteenth, completing only fourteen laps as he bemoaned the availability of Michelin tyre options.